As lucknow is being developed more than other cities in Uttar Pradesh, Lucknow cab service probe that nowadays Arrival of dignitaries has been increased. We understand that client coming in your company or any high-profile person love to travel with a personal cab by which he should feel free to move anywhere in the city. 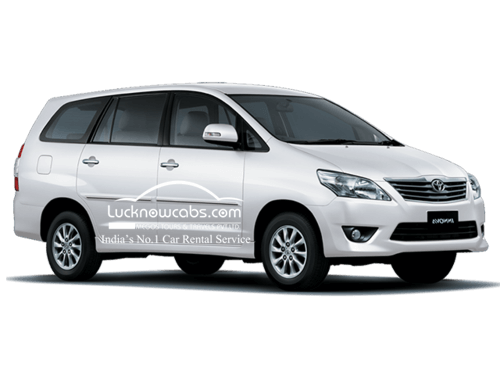 Lucknow cabs provide you hassle free traveling in Lucknow and outer area of the lucknow in minimum rental charges in compare to other cab services. Lucknow cab has an exclusive range of packages and services. You can choose a cab for outstation, or half or full day local use depending on your need. Lucknow cab service provides you an easy and serene experience in cab rental service in lucknow. You can do this either through the website or by calling the 24x7 customer service helpline where executives will help you with the booking process. How do we make your travelling comfortable with Lucknow Cabs? 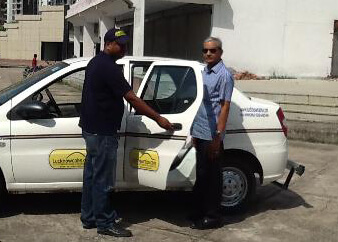 Lucknow cabs are providing chauffer driven cabs in multiple cities. Our chauffeurs are very polite calm and composed in nature. They understand that your time is lot precious for you so they always make efforts to drop you on your location before given time. The chauffer you will get from Lucknow cabs are very well disciplined, well dressed and trained so you will not feel embarrassment during drive. We provide you service to pick and drop on airport. You can also hire our cabs for travelling and sight scenes in Lucknow. You can also hire our cabs if you have to go in neighbor cities of the Lucknow. We promise a great comfort during travelling in Lucknow. Our cars are well managed which ha comfortable seats and we know the customer’s value so we give our optimum service to every customer which makes lucknow cabs customer’s first choice for cab rental in lucknow. Choose your car to travel in Lucknow with help of Lucknow cabs. Lucknow cabs have multiple companies’ cars to provide their customer best travelling experience in Lucknow. You can choose any type of car in which you feel comfort to travel in lucknow. We have indica , Toyota, Etios, Corolla, Innova, Fortuner and Audi to serve you. All these cars are premium sedan amd provide you extra comforts during travelling in Lucknow. These cars belongs ton well known brand and their drive quality is worldwide famous. So you can trust easily on us in quality terms. Our chauffeurs are road trip experts so you can request him anytime to go anywhere. We have deployed good quality music system and navigation device in our car. We understand that music is great companion in car if you are travelling alone in car on road. Even if you are travelling with your family or friend you can enjoy your favorite music tracks in the car. We always try to run an extra mile to provide comforts to our customer during travelling in lucknow and or this spirit make us number in the Lucknow. Based in Lucknow, the company is a unit of Megos Tours and Travels Pvt. Ltd. and is serving the visitors since 2009. Under the competent leadership of our director Mr. Rahul Pandey, The company is reaching the new heights in professional transportation services.